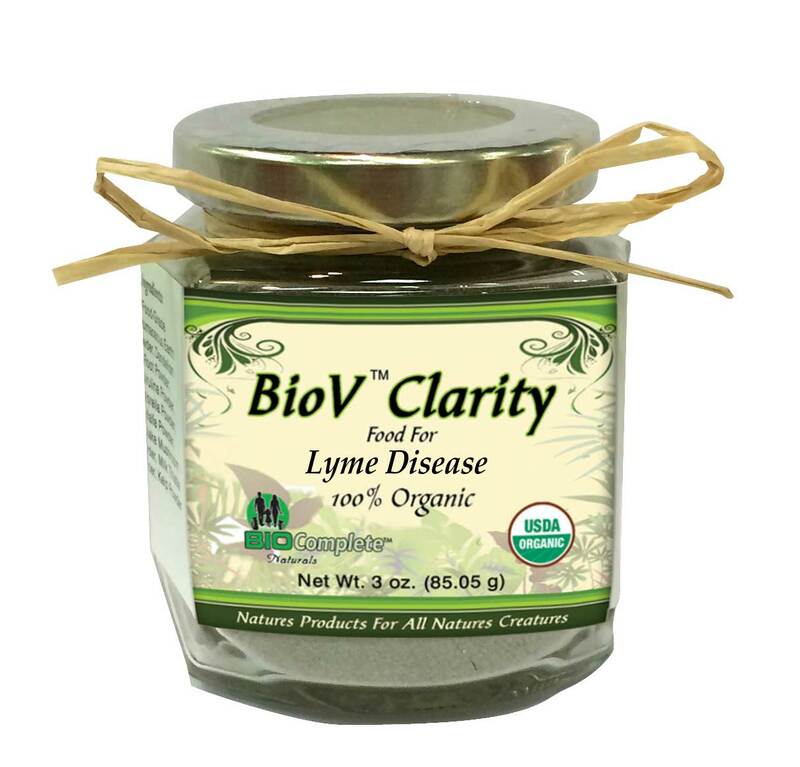 BioV Clarity Lyme Disease Blend - Lyme disease is caused when a tiny spirochete enters the blood stream, usually though a bite from a tick. It is a bacteria that is transmitted in the blood. Our proprietary blend of botanical foods is formulated with natural blood cleansing anti-bacterial properties to support a wide range of health challenges including healing. BioV™ Clarity Blend are Drug-Free and are specifically formulated from combining a variety of our BioComplete™ Natural Herbs and consist only of healthy USDA approved, Organic, all-natural foods and botanicals that offer a holistic alternative in promoting and maintaining the body's utmost health with modern, up to date science. BioV™ Clarity Lyme Disease Blend - Lyme disease is caused when a tiny spirochete enters the blood stream, usually though a bite from a tick. It is a bacteria that is transmitted in the blood. Our proprietary blend of botanical foods is formulated with natural blood cleansing anti-bacterial properties to support a wide range of health challenges including healing. Ingredients - A proprietary blend of: Cat's Claw, Milk Thistle, Dandelion. Echinacea, Chlorella, Spirulina, Meadowsweet Powder, White Willow Bark, Turmeric, Quassia Bark, Wormwood, Burdock, Rose Hip, Marshmallow, Kelp and Diatomaceous Earth (food grade).